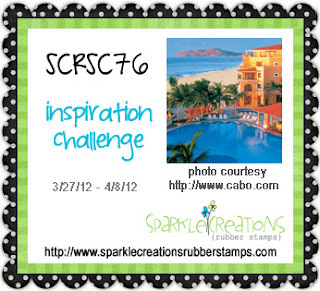 Sparkle Creations Rubber Stamps Challenge #76~Inspiration Challenge! 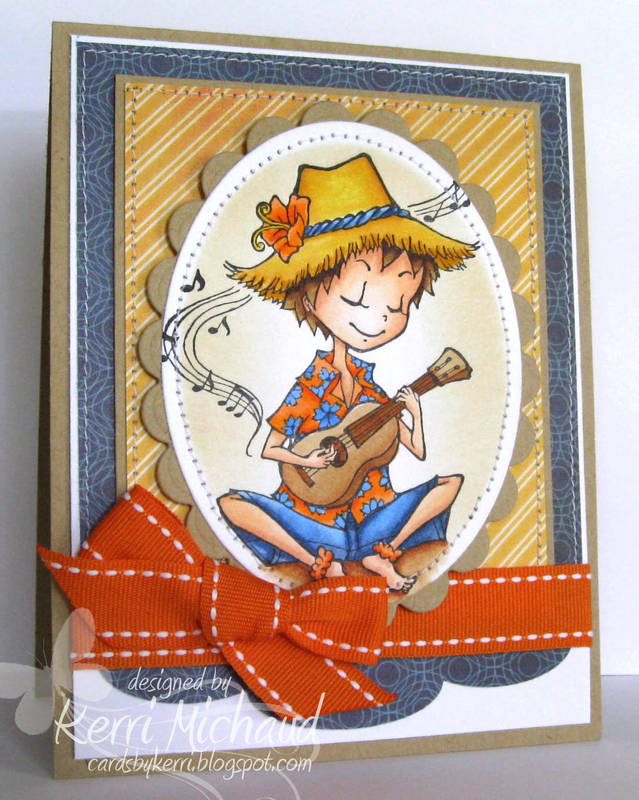 I used this adorable image~ Ukulele Josh along with some Echo Park Paper Co. A Boy's Life dp. I stamped the sentiment that comes with this image "you make my heart sing" on the inside and gave it to my hubby for our 12th anniversary which was yesterday (Monday:). We hope you'll play along with us! You have until Sunday, April 8th at 9:00 PM PST to link your projects on the SCRS Blog! Thank you so much for stopping by today. Have a terrific Tuesday! I have been oooing and ahhhhing as I scrolled thru all the projects I have missed. You are always an inspiration!!! What a super super fun card! LOVE this image and I LOVE your coloring! Perfect match for this inspirational photo! YOU ROCK!